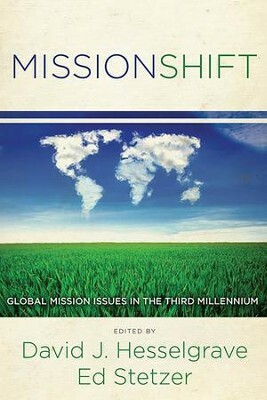 Veteran missionary David Hesselgrave and rising missional expert Ed Stetzer edit this engaging set of conversational essays addressing global mission issues in the third millennium. Key contributors are Charles E. Van Engen ("Mission Described and Defined"), the late Paul Hiebert ("The Gospel in Human Contexts: Changing Perspectives on Contextualization"), and the late Ralph Winter ("The Future of Evangelicals in Mission"). Those offering written responses to these essays include: (Van Engen) Keith Eitel, Enoch Wan, Darrell Guder, Andreas J. Kvstenberger; (Hiebert) Michael Pocock, Darrell Whiteman, Norman L. Geisler, Avery Willis; (Winter) Scott Moreau, Christopher Little, Michael Barnett, and Mark Terry. I'm the author/artist and I want to review MissionShift - eBook.